Looking for a landlord contents insurance guide that you can trust? Learn what does contents insurance cover for landlords and whether you will need it. Contents insurance for landlords covers you for damage to the furniture, appliances and fixtures inside your rental property. For example if your sofa was burnt down in a fire, you will be compensated by the insurance company to replace it. Contents insurance also covers damage to fittings in your garden such or your fence and sheds but be sure to check whether you are insured for damages caused by natural disasters. Standard coverage offer you a basic level of protection by covering damages due to normal wear and tear. Accidental coverage goes one step further - On top of normal wear and tear damages, it will also reimburse for damages and theft caused by errant tenant. If your rental property is fully furnished, you can choose to take out full contents insurance which will cover almost everything including all your furniture, electrical appliances and fixtures. For an unfurnished property, you can choose to cover the bare essentials such the flooring, heating, cooling and other fixtures.This will at least halve the your insurance costs. 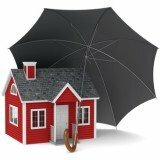 Do I Need to Buy Landlord Contents Insurance? Not every landlord will need contents insurance because the security deposit will be enough to pay for any property damages caused by them. If the rental property is fully furnished or you're a resident landlord who lives with your tenants, then we will recommend that you buy contents insurance. In your case, a full contents insurance will be able to cover your personal belongings and valuables as well. Depending on the value of your home contents and the type of insurance coverage (standard or accidental), the coverage amount of contents insurance for landlords will generally range from £10,000 to £50,000. Money.co.uk, CompareTheMarket.com and MoneySuperMarket.com - The links will open a new window directly to their landlord insurance comparison page.